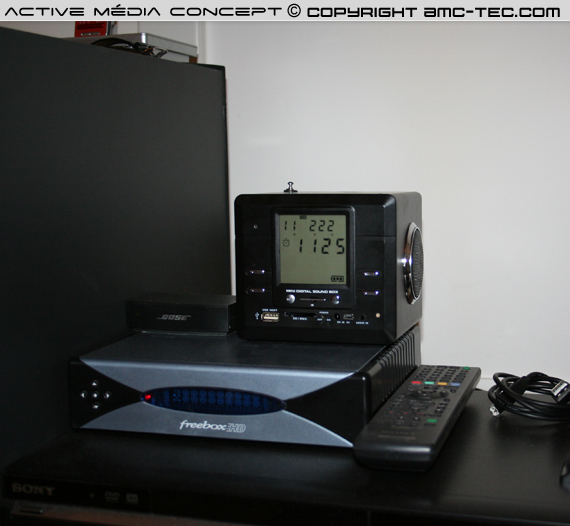 Our alarm clock radio MP3 / MP4 FM and AM is equipped with a microwave integrated camera of 480 TV lines for a good definition of registration, an effective surveillance with this discreet mini camera Sony properly concealed front of our alarm clock sound sensor is 0.1 lux so you can have a clear picture in low light. 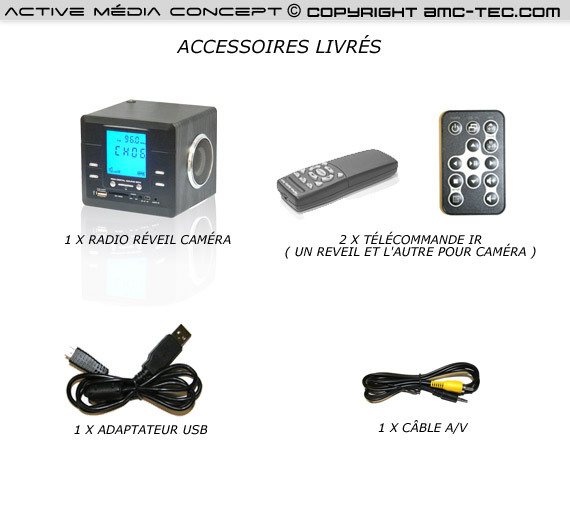 Different types of audio video are available, depending on your surveillance needs you can easily set your radio alarm clock either motion detection or schedule a time slot due to its remote control, it can be programmed by connecting the Dream Machine hidden camera to a TV. 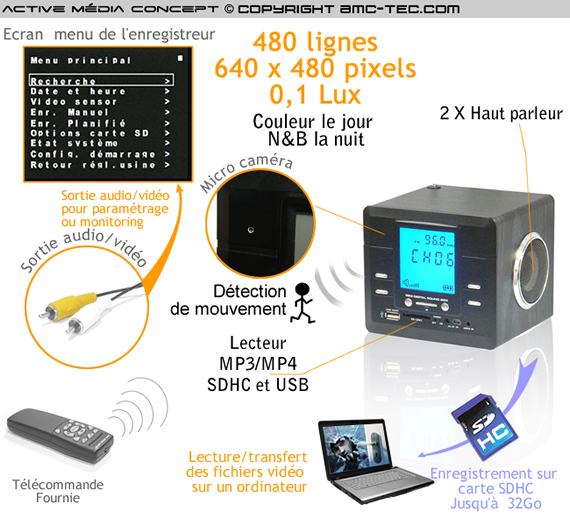 The audio video recording format is MPEG-4 ASF for a resolution of 640 x 480 pixels, and is done on an SDHC card can have a maximum memory of 32 GB to obtain a registration number jours.Un timestamp is possible on each video, that is to say an overlay of the date and time on each record. Reading records is done very simply be on TV or in recovery video audio files directly on Mac and PC. 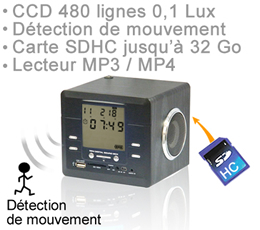 Our alarm clock radio hidden camera is generating a high-tech LCD backlight color blue, modern-looking he may be confused in the environment of a living room, office or bedroom. Video compression format MPEG-4 - SP ".ASF"